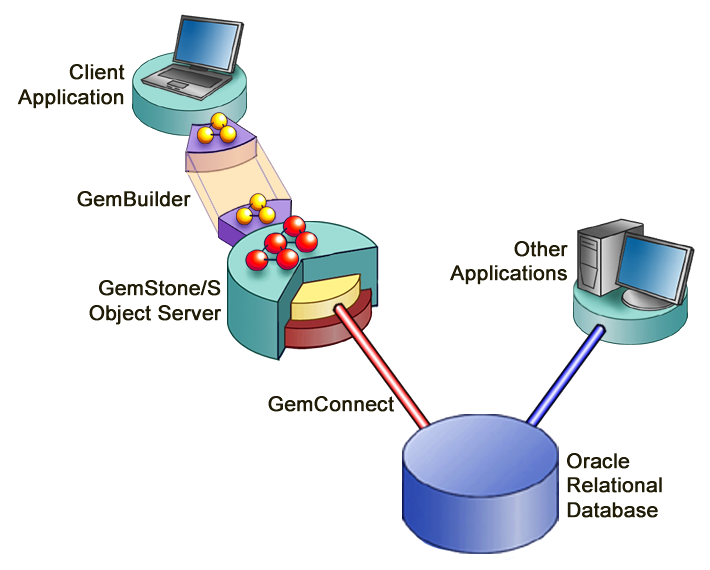 GemConnect® is an add-on product for GemStone/S 64 Bit and 32-bit GemStone/S, allowing GemStone’s object database to work with the Oracle relational database. GemConnect provides direct integration of GemStone/S and the Oracle relational database management system. It enables you to log into a relational database, submit queries and updates to the database, read information from a query in GemStone object form, and track modifications to data. It also provides support for collecting updates from multiple, concurrent client programs for posting to the relational database in batch. You must have a license for GemConnect, as well as a server license and keyfile file that allows use of GemConnect, in order to download, load, or use GemConnect. GemConnect v2.3 is a significant new release, adding support for GS64 3.2, National Character support, and support for bind: variables, as well as fixing several bugs. For documentation and other information on older versions of GemConnect, see GemConnect versions. You must have an applicable license in order to download GemConnect.